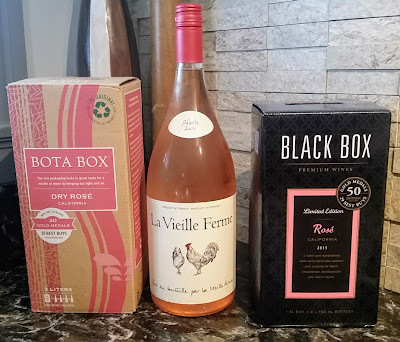 If you're casting about for things to check out over the upcoming long weekend, a couple of the local wineries we've featured here before are having events. Both of these are about an hour's drive (and a very pretty one at that) east of Cincinnati. 2011 River Village Cellars Traminette. Residual sugar 1.9% Production. $9.99. The winery will be open for tasting on May 26 & 28 from 10 a.m. to 6 p.m. each day They will also be showing these whites on June 7 at the Cincinnati Art Museum's "A Taste of Duveneck." Kinkead Ridge is located in Ripley, OH. La Vigna Estate Winery will be having their 2nd Annual La Vigna Food and Wine Festival on May 26 & 28 from 11 a.m. to 7 p.m. each day. They're releasing their 2011 Proprietary White, made from 100% Petit Manseng. The festival will feature Fireside Pizza made to order, complimentary goat cheeses from JZN Goat Farm, vegetables and herbs for purchase from Organic Farm at Bear Creek in Clermont County, and live music from "Rockin'" George LaVigne. La Vigna is about a mile north of Higginsport, OH. Previous Naked Vine coverage of these wineries can be found here and here. 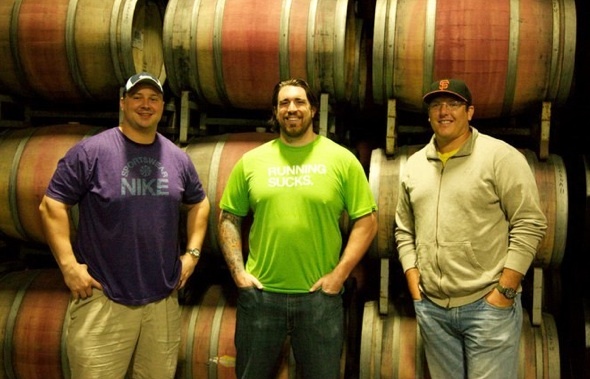 -Daryn Colledge, Arizona Cardinals offensive lineman & winemaker. Start with three NFL football players weighing over a half ton combined; sprinkle in a business venture and good-natured rivalry with a Hall-of-Fame caliber defensive back; add some cabernet sauvignon grapes. Mix well. What have you got? Three Fat Guys Cabernet Sauvignon. "We'd had a few drinks, a huge dinner and we were all talking about being fat. Somewhere along the line, the idea came out and the name followed. 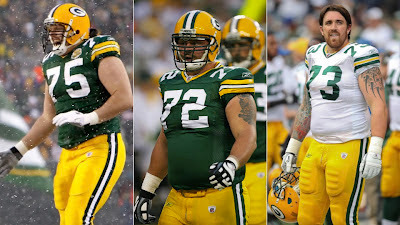 The details after that are a bit cloudy," Daryn Colledge declared. I had the chance to chat with Colledge for a few minutes as he took a break from his daughter Camryn tugging on his beard. “Wine kind of snuck up on me. We did it initially just for ourselves and to be able to give some away as gifts. But people we knew who really knew wine said, ‘This is really good. You should try to sell it! It kind of went from there,” said Colledge. One of Colledge’s teammates in Green Bay was Charles Woodson, future Hall-of-Fame cornerback – himself a winemaker. At a party sometime after the aforementioned carnivorous feast, they cornered Woodson and his winemaker Rick Ruiz. Some negotiations ensued and Three Fat Guys emerged. The 2007 is, not to put too fine a point on it, a vanilla bomb. The nose hits with a big whiff of vanilla and cassis. It’s medium-bodied for a California cabernet. The Sweet Partner in Crime described the powerful flavor as “strawberries and blueberries slathered in vanilla.” It does calm down a bit with some air. The finish is moderately strong with vanilla and some grippy tannins. If you’re a cab drinker that likes a big ol’ fruit-forward bottle, the ‘07 will be right up your alley. Myself, I think a couple of years might serve this well. The 2008 was a different story. Nose is still full of vanilla and dark fruit, but it’s more balanced with some fresh cut wood and earthy scents. The flavor was much more balanced. Vanilla, blackberry, and oak all mingle very pleasantly. The finish of even tannin, vanilla, and fruit was much longer than the ‘07. This one pushed the right buttons for me. I’d already broken into these wines before I spoke with him. I’d made this pretty tasty Asian beef & basil stew over some rice noodles a few nights before. The suggested pairing was a cabernet, so we used that as an excuse for our side-by-side. Both wines went well with this particularly yummy dish, but the ’08 was a particularly luscious pairing. The flavors ricocheted perfectly.